During promotion for her upcoming film Captivity, Elisha Cuthbert answered some 24 questions with surprising candidness. 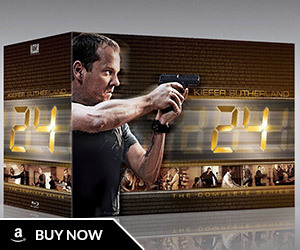 Cuthbert, who has portrayed Kim Bauer on most seasons of FOX’s hit real-time thriller 24, discussed the possibility of a 24 movie eventually coming to fruition. She sounded optimistic. Elisha threw out the possibility that the 24 movie could go into production as early as 2008, when production on the upcoming season 7 is set to end. This is an attractive proposition for 24 fans, especially ones who want to see a rated R version of the their favorite TV show. Although a film might end up being PG-13, we can only hope that FOX goes full-bore. Jack Bauer deserves to work in R-rated territory. 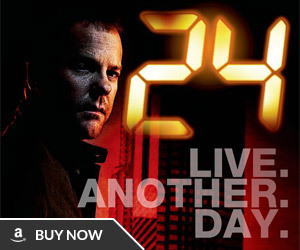 Cuthbert warns, however, that the possibility of a 24 film rests upon the availability of Kiefer Sutherland and the openness of his schedule. In theory, a 24 movie can only excite fans, but the undertaking is certainly not a slam dunk. Will the film be in real-time? Doubtful. With a 24 film, Kiefer and the powers-that-be would want an increase in scope, a more epic version of the television show, so real-time would be out of the question. Then, accepting that, is 24 still 24 if it isn’t in real-time? Or, is it just another action movie? Even with the questions that surround the possible project, fans will take what they can get. A 24 film, if announced, will be a highly-anticipated event. 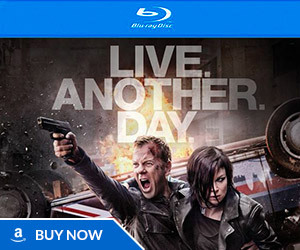 Who doesn’t want to see Jack Bauer, in all his preposterous Jack Bauer-ness, thwart terrorists on the big screen?